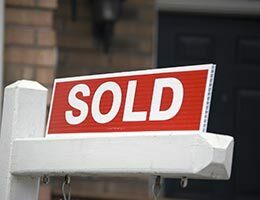 Seller, do you think that it is time to sell your home? When it comes to giving people advice about selling, the bottmline is: List your home for sale when you need or want to. Don't try to chase the market. Make your decision based on conditions in the current market, and sell your home for its current fair value. When it is time to move on, make sure that you buy a home you can afford, both now and in the future. 4 things to consider when deciding if now is the time for you to sell your home. With recent market upswings you may have more quity than you thought you had. Now might very well be an excellent time to cash in on that equity. Has Your Family Out Grown Your Current Home? Is your starter home a bit too small after your last baby or has one or more of your parents moved in with you? If this is the case it may be time to consider moving up to something that is a bit larger. With the lack of well-priced inventory and the spring selling season upon us, you might be able to take advantage of the durrent low interest rates before they start to climb. Has your famiy decreased in size? Are you an empty nester with extra square footage? many people are in your situation and considering downsizing. Selling now and downsizing can bave its perks. Less to clean and maintain and lower costs are the abvious advantages. Interest rates are moving up. Interest rates have remained low for some time. Recently they have started to inch their way up, so if you are wonding when would it be the best time to get a new mortgage the time is NOW. Rates are at historic lows and aren't likely to go anywhere but up in the future. Selling your home can be enjoyable if you have the support of a competent Real Estate Professional. It is vital to choose a Realtor who can represent you and your property properly. Give me a call or register online to see how I can help you sell your home for top dollar.